Who said that your hot beverage must choose between a fun or a functional mug? The Monaco mug is here to solve our problems. 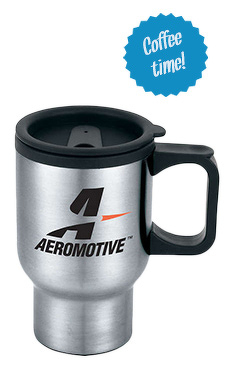 This 16 oz ceramic mug is complete with a stylish gray or white matte exterior, and a sleek glossy interior. This mug inspires design and imitates the "retail look," yet its functionality assure it's a perfect (and probably much needed) update for the corporate coffee cupboard, or creative mug giveaway. Customize Your Colors: The glossy interior is available in a wide range of colors; so select your corporate color or combination of colors to brighten any beverage or cupboard. The imprint on the outside of the mug can also include color creativity. Stackable Design: The stackable design of the mugs help to save space and keep cupboards organized, while maintaining a sleek design. Unique Logo Designs: These mugs contain the possibility to incorporate your brand in a "retail look" design. You are no longer confined to the typical "1 color, 1 location" logo, instead let us impress you with unique design concept possibilities. Imprint Area: 2 x 3-1/4 x 10"